We have a special collaboration with our Life Hacks podcast and A Gay & A NonGay podcast. Katie and Dr Radha help James and Dan share helpful advice about mental health. 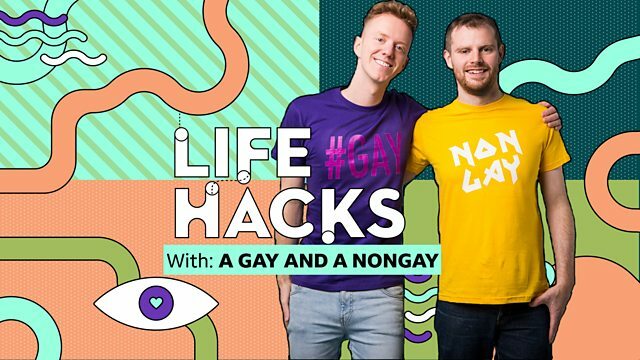 In this exciting collaboration between Life Hacks and A Gay & A NonGay, Katie and Dr Radha help James and Dan tackle some of the more complicated queries they have received from their listeners. The boys have called on our pros to help them address a range of listeners issues and share some helpful advice with them. From coming out, to identifying a person in life to confide in when we aren't feeling mentally well, all areas are covered in this special edition of our Life Hacks podcast.